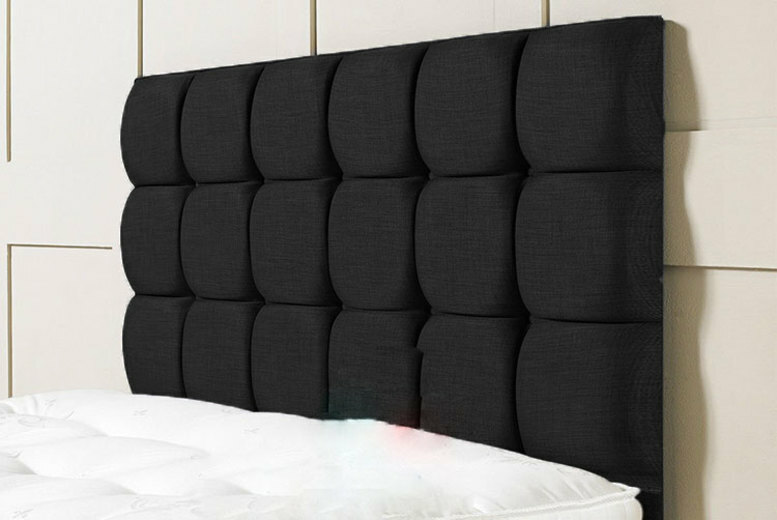 Home » 24″ Cube Turin Headboard – 6 Sizes & Colours! Get yourself a cube Turin upholstered headboard! A unique way to jazz up a dull and drab bedframe. Made with Turin fabric and reflex foam for extra comfort. Supplied with 24″ long legs and screws. Manufactured in the UK with the highest quality materials. Choose from six sizes and black, beige, charcoal, grey, purple and red colours! Stainless Steel LED Garden Lights - 2 Colours! Bardot Frill Dress – 3 Colours & UK Sizes 8-14! Joules Sunglasses – 10 Designs!